After fewer than 500 flyers? Check out our short run flyers instead. 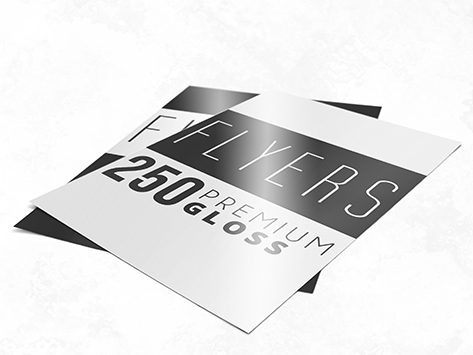 Why settle for inferior quality when you can choose our Premium 250 Gloss stock for your flyers? This 250gsm stock is the perfect foundation upon which to print your marketing message. High quality, with vibrant colours printed with UV-cured inks, these flyers will give you the professional edge your marketing needs. Boasting a vastly superior quality to our 150gsm flyers for only a fraction more in cost, these flyers are a great start to marketing your business.